OP Missionary Rev. Ben Westerveld serves as the Pastor of St-Marc's Reformed Church in Quebec City. One of the church's summer outreach activities is an "English for Teens" Bible Camping Trip. 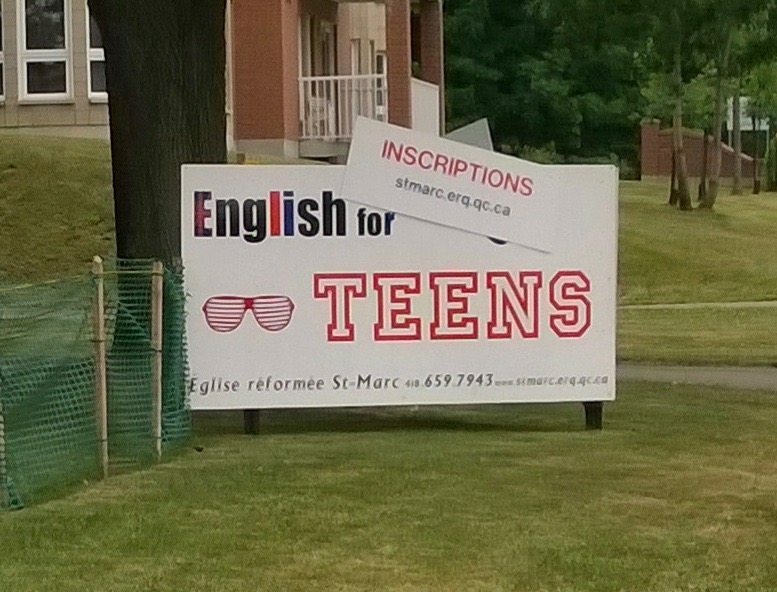 This Bible-centered, English-immersion camp seeks to share the gospel with local, non-believing, French-speaking families who desire opportunities for their teenaged children to learn and practice speaking English. English-speaking men and women with camping experience from sister Reformed and Presbyterian churches in North America are sought to help lead the camp. Applicants must demonstrate a credible faith and Christian life, and have a sincere desire to make Christ known through the project. Costs include travel to and from Quebec, and some meals. All other camping and program costs are covered. The camping trip is held on the outskirts of Quebec City. Camp activities include fishing, canoeing, campfires, survival training, and plenty of time to discuss the Word of God. St-Marc's Camp Coordinator and bilingual translators run the camp. Rev. Westerveld follows up afterwards with the families contacted through the camp. Rev. Westerveld says, "The teens enjoy getting out of the city and spending a more intensive time together with their friends and the camp leaders. We’re praying for an opportunity to truly connect with the youth and see them grow in their desire to discover and know God the Father." Click here to find Photos and Testimonials from past camps.